DYNAMOS' dream of advancing beyond the knockout stage in the Champions League was blown out yesterday when they went down to AS Vita Club in the return leg of the first round tie at the Father Raphael Stadium in Kinshasa. The Glamour Boys' campaign reached the dead end in this prestigious continental club football competition when they succumbed to a 38th minute penalty converted by Vita Club striker Etekiama Taguy Agiti. Dembare were cherishing a possible clash with South African giants Kaizer Chiefs in the second round but they had severely ruined their chances when they played out a goalless draw against the Congolese side at home last week. Considering their poor away record in recent years and the disturbances which rocked their preparations last week, it was always going to be difficult to imagine the side springing back to life. However, reports from Kinshasa said the Glamour Boys came back from the breather a determined side and gave a commendable fight in the second half after they found themselves trailing at the break. Dembare had begun well and defended their goal jealously for the most part of the opening half but they conceded a penalty in the 38th minute after defender Partson Jaure was adjudged to have fouled an opponent inside the box. Malawian referee Antony Ramsey Raphael pointed to the spot despite protests by Dynamos players who felt the decision was a bit harsh and AS Vita Club's top striker Etekiama stepped up to beat goalkeeper George Chigova. Dembare never recovered from the setback despite a spirited fightback late in the game as the home team held on to their priceless goal. 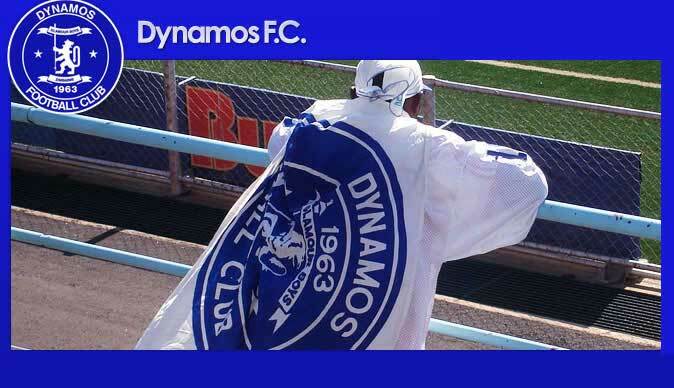 Dynamos had expected at least a scoring draw to advance to the next stage but the goal was elusive. Their coach, Callisto Pasuwa, had to start with one striker again, Simba Sithole, after Washington Pakamisa failed to make the trip to the Democratic Republic of Congo with a knee injury. Midfielder Devon Chafa made his first appearance following the lifting of his ban by Fifa and was drafted alongside defensive minded midfielders Stephen Alimenda and Walter Mukanga as Pasuwa had sought to stifle the home side by congesting the midfield. Chafa returned to training last week and joined his teammates for the first time since November when he was suspended for testing positive for a banned substance in a random doping conducted by Fifa during national team duty. Dembare's defensive strategy appeared to have worked earlier on as they matched their opponents. But Pasuwa and his men should have rued the time lost for preparations last week when the players downed their tools for two days demanding payment for outstanding bonuses. The fate of coach Pasuwa, who has been in charge of three Champions League campaigns, will likely to raise debate again with the Dynamos family. Pasuwa has won three domestic titles with the club in succession since 2011 but has not done well in the Champions League. For the fourth time in a row they have failed to progress beyond the preliminary round qualifiers after failing to pass the test in Kinshasa. Dynamos have not won a Champions League away assignment in four years and had hoped for a change of fortunes in the DRC, the place of their last triumph on the road in 2010 when they beat Lupopo with Elvis Chiweshe in charge. The team was expected to head to the airport just moments after the game last night and are expected to arrive in Harare this morning.